The MS-TrueBypass is a relay-based retrofit true-bypass mod for a common bass multieffects pedal. It is completely integrated. There’s no need for a second power-supply, or external triggers. 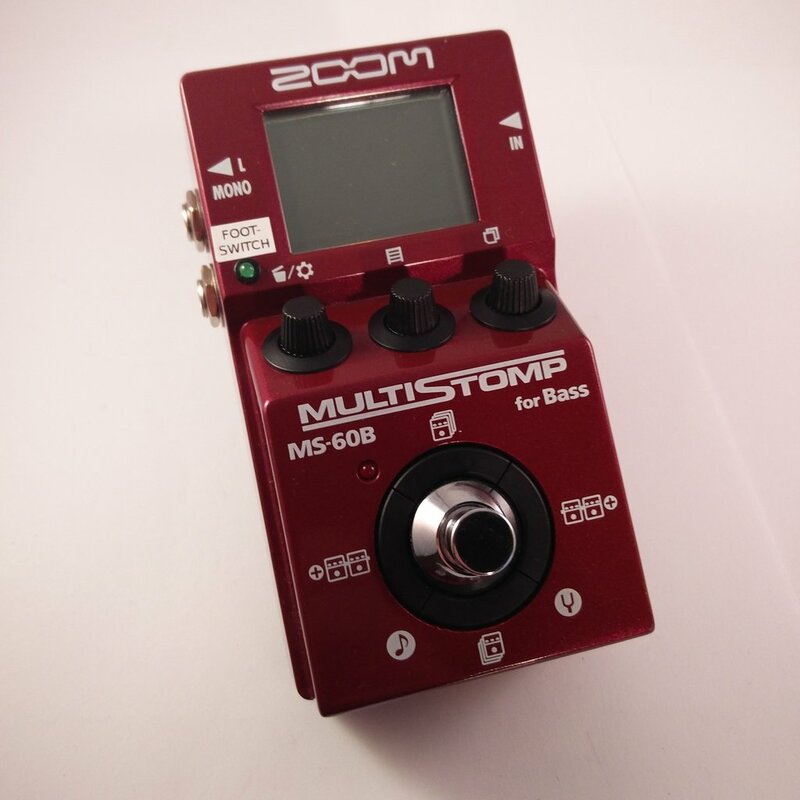 You can however use it with two different triggers: Either with a “double-tap” on the internal foot-switch or with a momentary external foot-switch connected to the right output-jack. With this mod the right audio-output will be deactivated! Once a external Trigger is recognized, the internal “double-tap” function will be ignored. Meaning: with the external trigger you are able to use the full spectrum of functions the device offers, without being afraid of changing the relay state. The double-tap function will be re-enable after a power cycle.